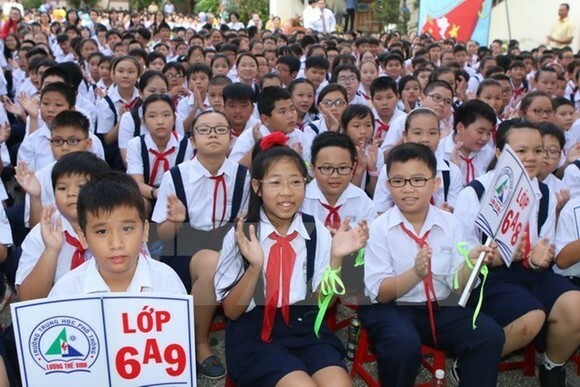 President Tran Dai Quang has congratulated education workers and students nationwide on the occasion of the new academic year 2017-2018. In his congratulatory message written on September 1, the President hailed the educational sector for obtaining significant achievements in the previous school year. Educational reform is on the right track while the quality of education at all levels has been enhanced, he said. He extolled students with high accomplishments at international Olympiads in maths, physics, chemistry, biology and informatics. The President asked the educational sector to push ahead with reforms and focus on building a safe, healthy and friendly environment. He called for the development in education in ethnic minority populated regions, taking better care of students from policy beneficiary families and ensuring equal opportunities for all.